It is a simple Lego version of a mathematical shape, and because of the small size, the hinges take a relatively big share of the volume. However, the same technique can be used for bigger shapes, such as regular polyhedrons, (a cube is a regular polyhedron), Johnson solids, or Archimedean solids. It sounds like I know about geometry but it's a whole new world for me. 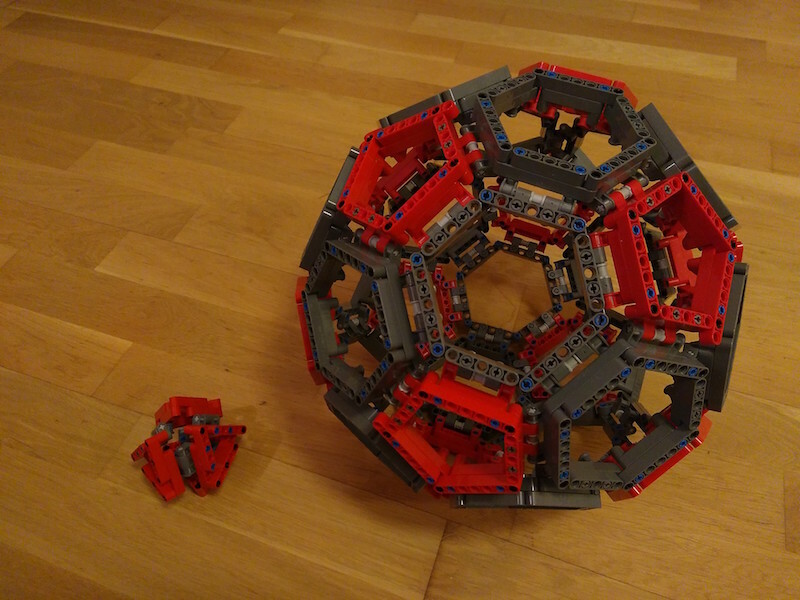 Anyways, it all started with my interest to build a Technic Lego ball. I ended up making a truncated icosahedron, also known as a 'Bucky ball', and far better known from soccer balls. No worries, the ball will appear soon in rebrickable.